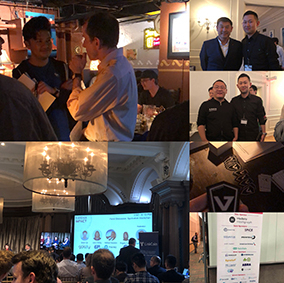 Welcome to TRON CANADA, an TRON Super Representative candidate with a experienced technical team and influential community members located in Vancouver, Canada. Vancouver has been an early pioneer of the crypto economy, and its tech-savvy and crypto-friendly community, coupled with Canada’s stable economy make Vancouver an ideal location for blockchain development and adoption. TRON Canada believes in a Tron ecosystem that is driven by the community for the good of the community, instead of ruled by select groups or individuals. We strongly believe TRON will attract the best talent in the blockchain community, empowering the TRON community to grow, and eventually thrive. In support of this, we propose that should we be elected as a block producer, 30% of our block rewards will be contributed in support of projects that highlight the potential of TRON, thereby helping to support the creation of a diverse dApp (Distributed Application) ecosystem on the TRON blockchain. We recognize the vital role public outreach and education plays in bringing any technology to mainstream adoption, and as such we’ve built strong ties within the local community and beyond, tirelessly advocating and educating through meetups, social media and community forums. Our expertise building enterprise applications used by several of the largest organizations in China and North America, makes the TRON Canada team an ideal candidate to architect, deploy and maintain reliable and scalable TRON block production infrastructure. Chris Shao is the founder of Grand Capital Investment INC. He invested in over 20 projects all over the world with rich experience in blockchain investment and fund management. His areas of expertise include community engagement, communication, and public speaking. He is also the co-founder of Crawfish brother, one of the most popular restaurants for youth in China. 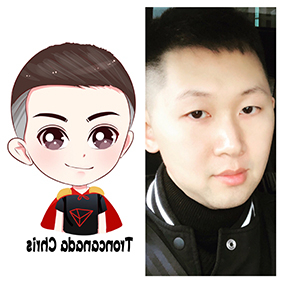 Chris Shao strongly believes in Tron blcokchain and will lead the marketing and operation of TRON CANADA, build the connection between Chinese and North America TRON community, contributing to the development of the whole TRON ecosystem. 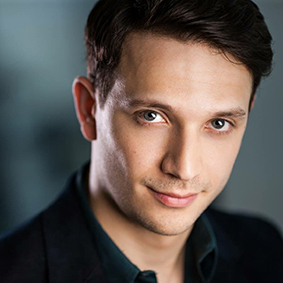 Ehsan speaks fluent English and German. His skills include Community engagement and communication, whitepaper translation/editing and public speaking. And some of his interests are: the philosophy of blockchain, human civilization, quantum mechanics, game theory and the science of human interactions. Carrying full of confusion and skepticism, he joined the blockchain and cryptocurrencies sphere in December 2017, and since then he had been mind-blown away by this new technological movement and how it could change our world for the better. And also, he is a proud TRX hodler. Graduated from City university of New York. Baruch College, BA political Science and Economics. Decentralized autonomous organizations(DAO) believer, 6 years Media industry experiences. 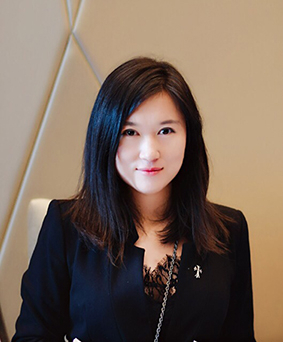 Specialized in VR AR, Fintech, blockchain, IOT, Stock market, reporting. 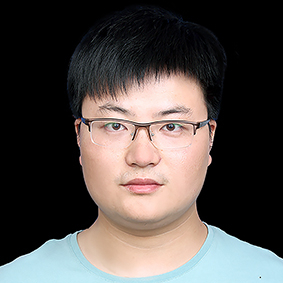 Graduate from Chongqing University Of Posts And Telecommunications, With years of hardware infrastructure maintain experience, Wang Jun has helped build, implement, and manage the technical infrastructure and security practices for China Mobile Communications Group Co.,Ltd . Focused on architecting solutions that maximize service availability, while preventing, detecting and managing the ever broadening threat landscape. Highly experienced in ERP and CRM system development and the deployment of system architecture for big data applications. 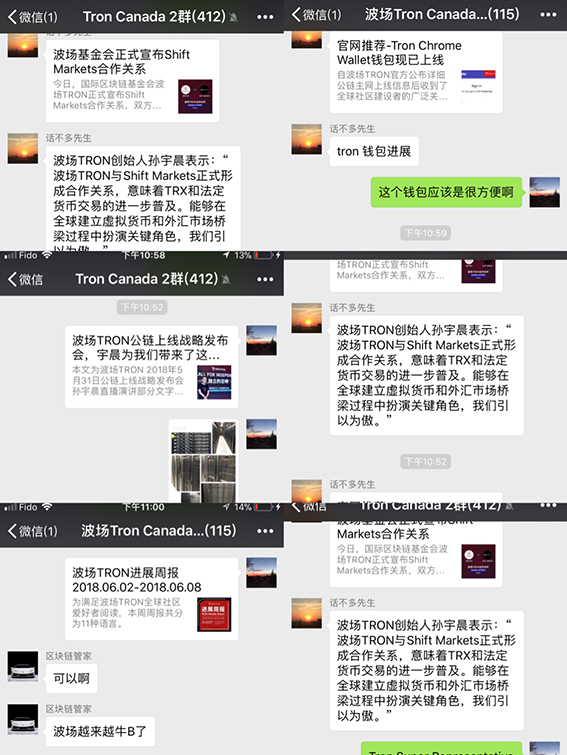 Wang Jun is in charge of the backend development of TRON Canada web and block producing server. We will cooperate with [email protected], in order to approach the best academic resources of blockchain. 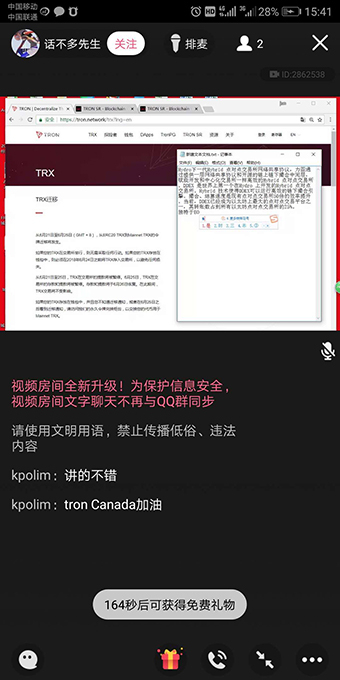 For the People who did a great job helping with translation to successfully bridge the discussion between Chinese and overseas Block Producer communities, we will airdrop TRON Canada token for all community contributors. We also recognize the vital role public outreach and education plays in bringing any technology to mainstream adoption, and as such we’ve built strong ties within the local community and beyond, tirelessly advocating and educating through meetups, social media and community forums. During the initial launch stage of the TRON MainNet, we will run dual-node clusters (each cluster having both a full node, and block producing node) across two availability zones using AWS (Amazon Web Services). This cloud based tiered solution will provide the performance, scalability and high availability necessary to meet the growing needs of the nascent TRON network. After June 26, Once we’ve gathered enough performance data to gain a solid understanding of the TRON blockchain’s requirements - we plan on moving the block producing nodes to bare-metal servers in Vancouver, co-located with our partners Downtown DATA center. 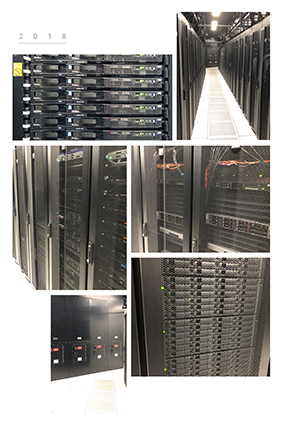 Running bare-metal servers in a Vancouver based data center helps to increase the geographic diversity of TRON block producing nodes, and thus improves the overall resiliency of the TRON blockchain. TRON Canada will actively contribute to, and work with the TRON block producer community, in helping to develop an robust, scalable, and high availability architecture that will automatically failover to secondary systems in the event of a primary system failure. Deploying block production nodes across multiple availability zones (data centers), and across multiple geographic regions creates redundancy, resulting in high availability. In the case a primary block producer node becomes unavailable (whether due to a server, or service provider incident), the secondary node located in another availability zone would automatically take over the block-producing role. Load balancers are designed to handle spikes in incoming network traffic, and distribute or balance the traffic “load” across multiple servers, and even across multiple data centers. Traffic is dynamically redirected based on the health status of the target servers, minimizing latency, and maximizing performance. Our infrastructure is pro-actively monitored around the clock, 24/7, 365 days of the year. In the case of an abnormal event occurring (excessive CPU, memory or traffic utilization), alarms are triggered, and our team is notified so we can resolve any issues and keep things running smoothly, avoiding system failure, and minimizing downtime. As part of our commitment to maintaining the high availability of our block production infrastructure, we use AWS Shield to protect against DDoS (Distributed Denial of Service) attacks on our network infrastructure. AWS Shield works in conjunction with our network load balancers, providing always-on detection, helping to minimize service latency, and avoid downtime. Our bare metal servers, routers and switches are co-located locally here in Vancouver, BC, Canada.